If you watched my Bourjois nail polish collection/swatch video, that you already know that older 1 Seconde nail polishes seriously chipped on me. But cute new 1 Seconde shades and sale convinced me to give them another go. I bought 2 nail polishes and hijacked the third one from a friend. Either Bourjois improved their formula or new 1 Seconde polishes are more compatible with my current base and top coat, but in any case staying power was just fine. 2-3 days without chipping. 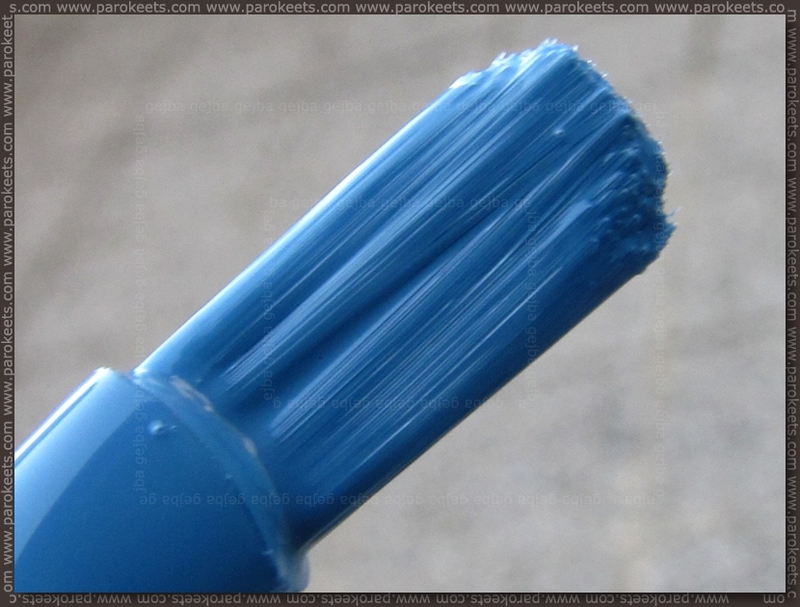 Bourjois Bleu Water (no. 8) was probably the first one to tempt me. I adore blue nail polishes and don’t have many grayed out blues in my collection. I tend to be more conservative with stamping, so most of the time I’ll go with “washed out” base colors with creme finish. Application was not problematic, coverage is good, drying time OK … 2 coats + top coat. Bourjois Rainbow Apparition (no. 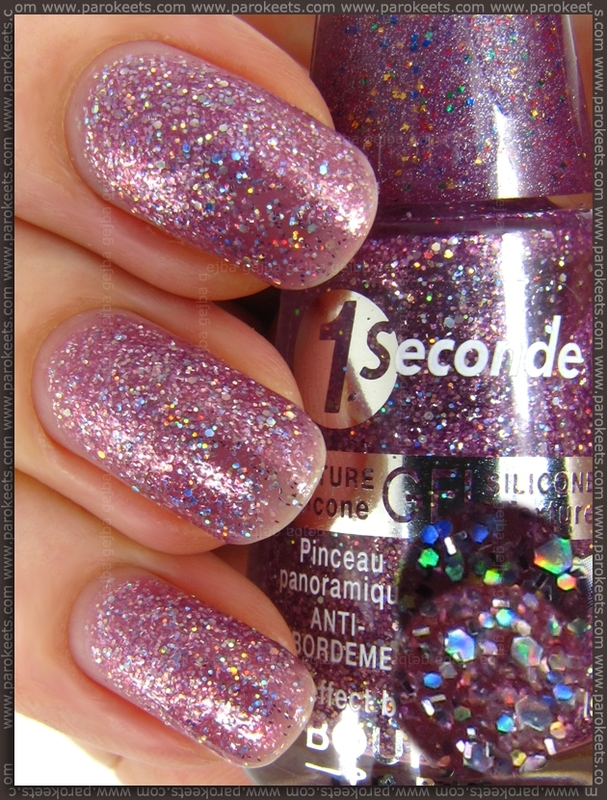 14) is purplish nail polish packed with holographic glitter. Do I need to say more? I used 3 coats, but this is more of a layering nail polish as it’s pretty sheer. 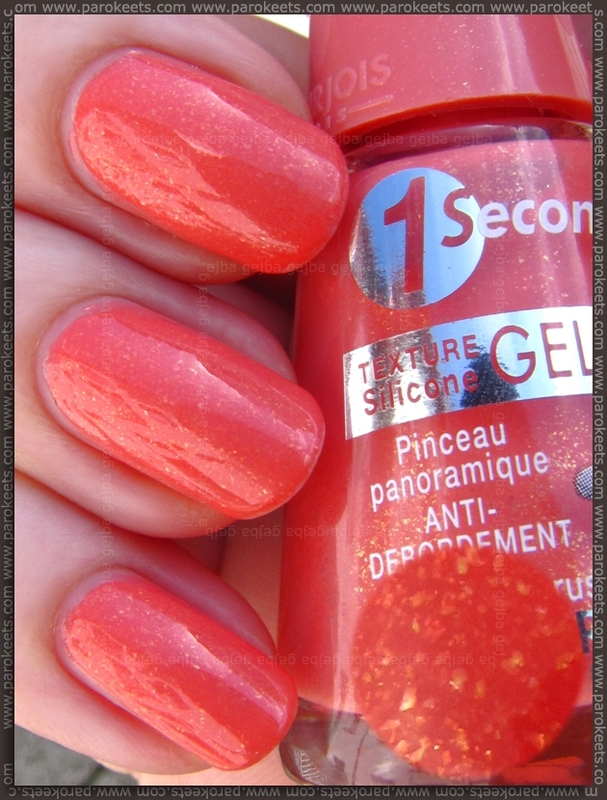 Bourjois Corail Magique (no. 05) is the borrowed one. Cute coralish nail polish with added yellowish flakies. Thicker formula with good coverage. 2 coats + top coat. 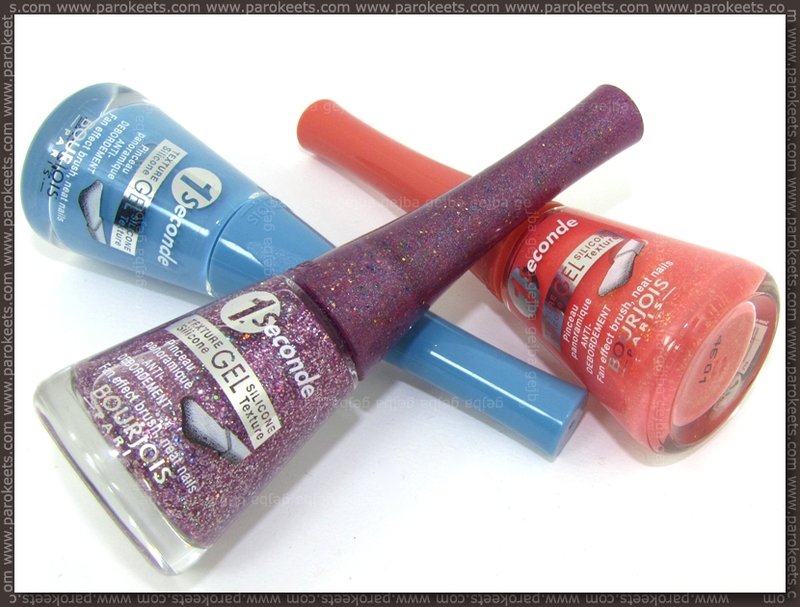 Regular price for Bourjois nail polishes is between 6 and 7 EUR. Now I have lemming for more of Bourjois shades. Any particular you love/recommend? the nail polish really looks great and awesome. I like it very much and the color plays big role to nails. Please update us with the new trends of nails. I really appreciate that if you do. I really like your mani. Jaz sem totalno navdušena nad modrim :wub: nisem še imela laka, ki bi se tako v izi nalakiral. Dejansko sem si lahko naredila manikuro na kavču pred TV in je prišla zelooooo dobro :thumb: nadlaka nisem uporabila in je zdržal kar nekaj dni. Tried the same coral borrowed from a friend and hated it, application was a mess, couldn’t manage an even application and it was too thick :( too bad because it looked beautiful in the bottle. And in Italy we seriously need Bourjois back! I can’t always ask friends to bring me back stuff from the trips abroad. Wow, obožavam Bourjois lakove i svašta njihovo i nijanse su predivne. Najviše mi se sviđaju Corail Magique i Rainbow Apparition iako ni plava nije loša!